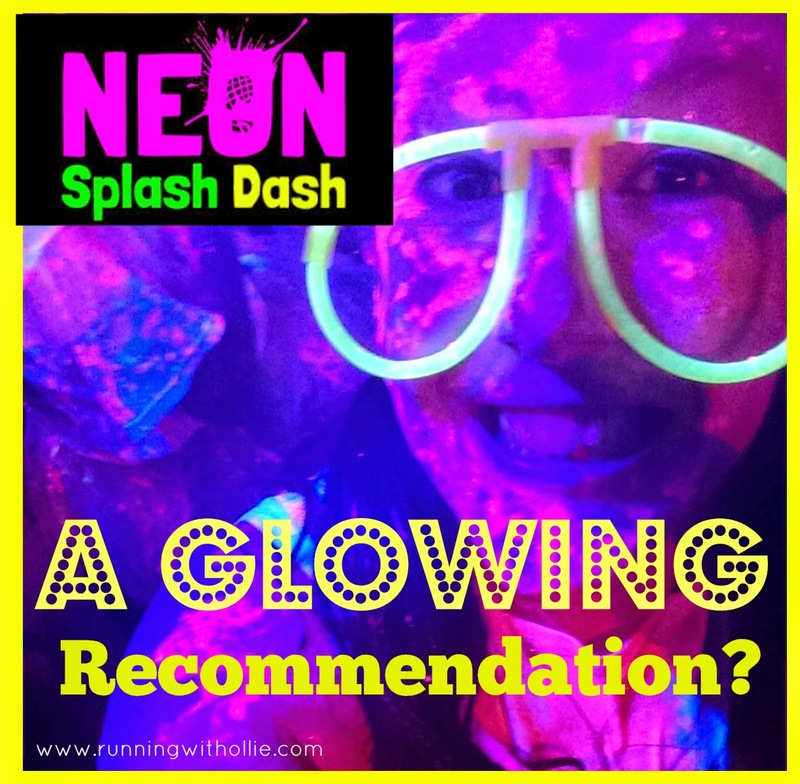 RUNNING WITH OLLIE: The Neon Dash: A Glowing Recommendation? I just turned 40...and I am taking it kind of hard. Yeah, I know. I know. You're only as old as you feel and all that crap jazz, but the number just doesn't match how I feel. I do know that 40 is young. Trust me, all my friends are 40 and they are all young and gorgeous. I'm just hung up on the number. I'm sure I'll get over it. Or as hubby said, it could be worse, you could be dead. I'll take 40 over the alternative. I'm sure I am getting all worked up over nothing. After all, my 20s were better than my teens, and my 30s were way better than my 20s, so I don't have any reason to believe the trend won't continue into my 40s. With that being said, instead of a birthday bash this year to celebrate 40, I decided on the Neon Dash to celebrate the last day of my 30s. It was perfect. It was a 5k held on the evening before my birthday. I figured I'd round up my closest friends and we would do something fun and healthy to celebrate the end of another decade. We could act like silly 30-somethings the day before I mature into old-age (overly dramatic, I know). Since the local retail stores declare Halloween as soon as school lets back in, I had no problem finding some glow accessories to dress up our running clothes. 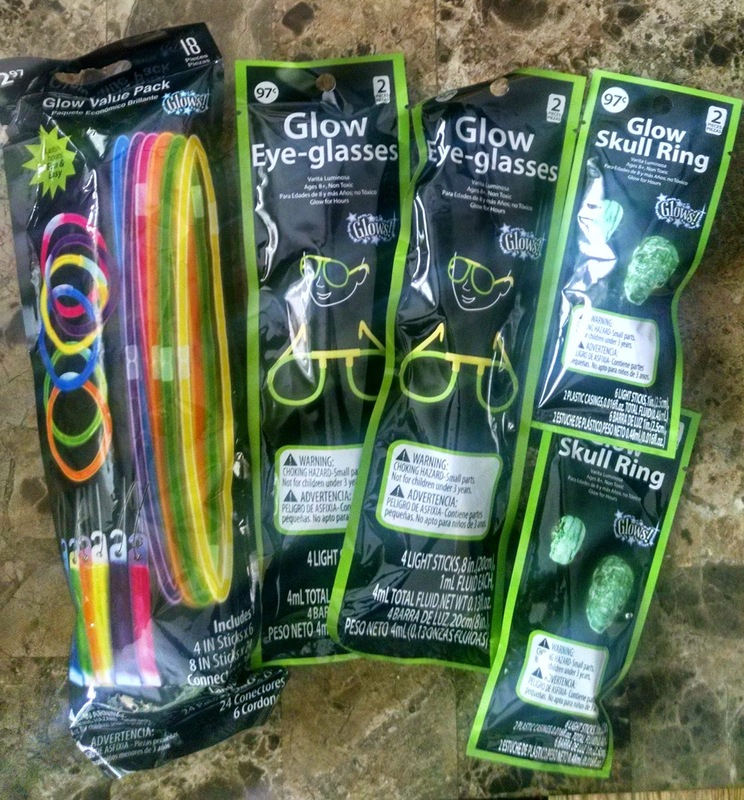 What almost 40-year-old doesn't want to wear glow glasses and glow skull rings? It was $7 well spent. Since the Neon Dash told us we should wear white, my BFF made us all custom Running with Ollie t-shirts! 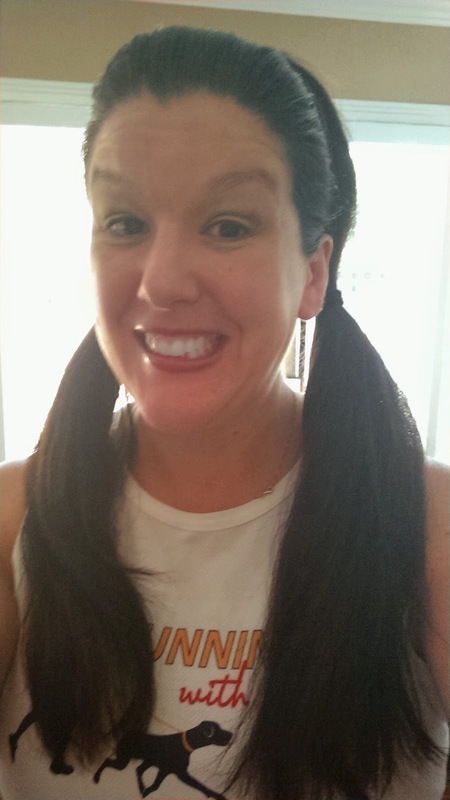 My hair goes into pigtails and I am ready to run and glow! Now is this the face of a 40 year old? Don't answer that. I can't be 40! I wear pigtails and take selfies! The run was at the ballpark in Arlington, so it was easy to find with plenty of parking (although I wasn't thrilled about the $10 per car parking fee). When we arrived, it was still light outside while we activated our glow sticks and waited in line for packet pick up. Along with our race bib, they gave us a Neon Dash t-shirt, a cute headband, and some temporary tattoos. As the sun went down, we started glowing! 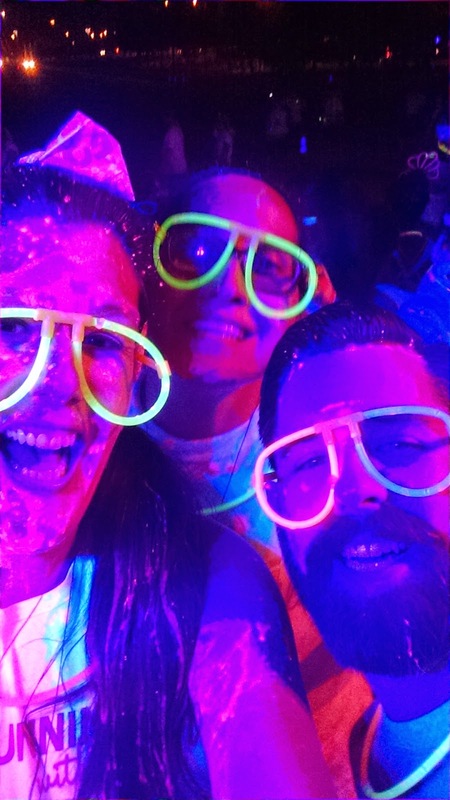 I loved the glow glasses! So dorky! My BFF has six eyes. We had a great time. It was a really fun way to end my 30s. 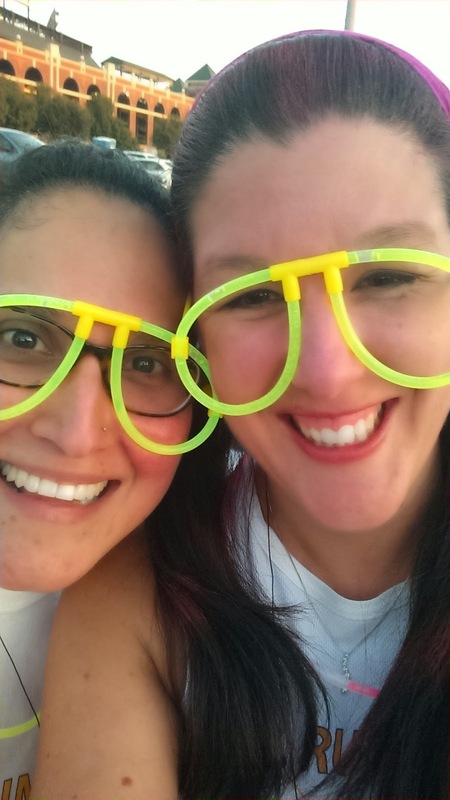 I was happy to do something active and spend time with my best friend, but the thing about the Neon Dash is that it is almost all about the pictures. 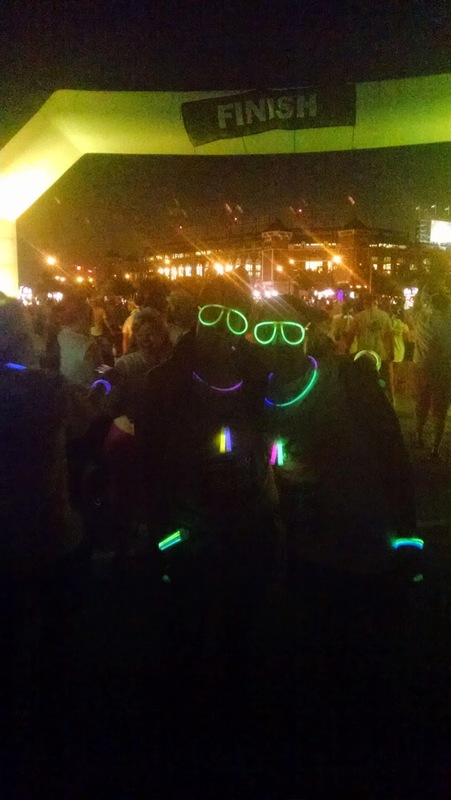 There were just two "glow stations" on the 3.1 mile course. I would guess one about half way through and then another towards the end. When you ran through a station you were sprayed by volunteers with glow water (I don't know if that is what it is really called). If you ran continiously through the station, you may not get very glowy with just a passing spray, so I stopped and let them me spray me directly. You don't actually glow until you get under the black lights, so we ran a little further along the course until we arrived at the black light station, which was just a couple of lights and a ton of people trying to get under them to take pictures. It wasn't too hard to squeeze in and get some shots, like the ones below. I think the pictures turned out great! 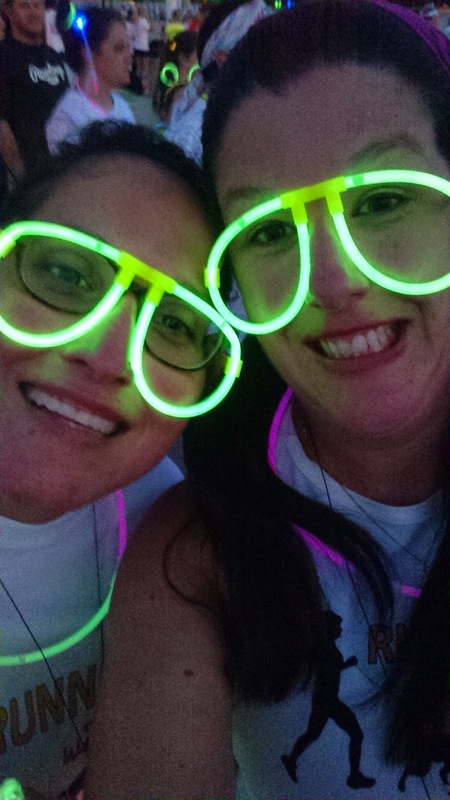 We ran/walked the rest of the course, through another glow station and arrived at another black light picture taking station. At the finish line, all you could see were our glowing accessories because the water they sprayed only glows under the black lights. It was at night so the course was pretty dark. 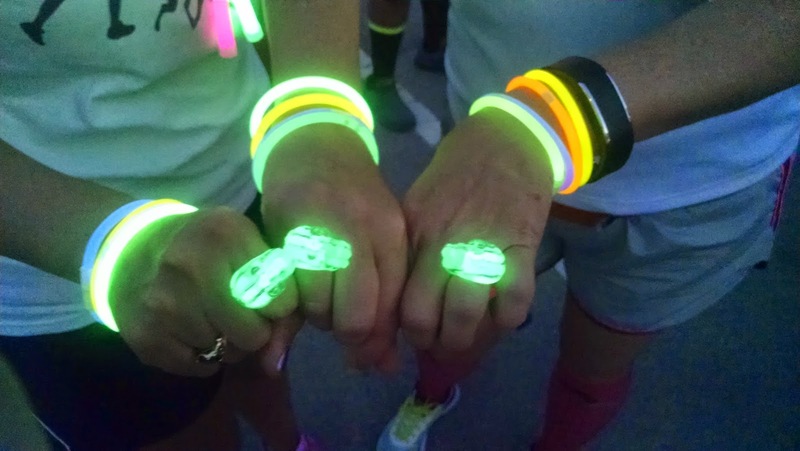 Plenty of people were wearing glowing accessories, which helped, and some parts of the course were lit fairly well by street lights, but most of the time we were just running in the dark, which is to be expected for a night run. I think I just had more expectations of glowing while running, but I guess the logistics of the black light course would be pretty complex compared to just setting up a couple of black light stations. I think the great pictures made it worth it, but as for the actual experience, you can expect to mostly just be running along a night course and to stop at the glow stations and black light stations to get sprayed and take pictures. I brought a water-proof case for my camera and I was glad that I did, because the case was covered glow water when I got home. So while I won't give it a glowing recommendation, I had a great time and really loved the way the pictures turned out. For $25 the Neon Dash was a fun and unique way to spend the last day in my 30s with my good friends. Have you ever ran a Neon Dash or something similar? 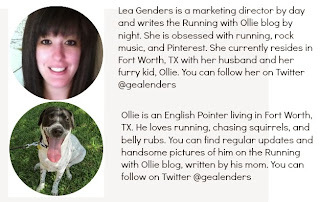 Don't forget there is still time to run in the Running with Ollie virtual four mile fun run, scavenger hunt, and huge giveaway! You have to check out these great prize sponsors. There will be 14 winners. It is fun and 100% free. What are you waiting for? the eight year old (IN ME and my own :-)) would love this. 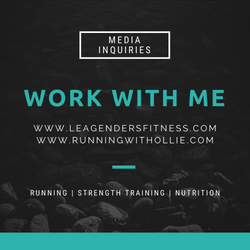 There were a lot of families there and I did think it was a great way to have FUN fitness time with kids! What a fun way to celebrate your 40th! Happy Birthday!! That's a great way to celebrate. The pictures look really cool even if the experience wasn't as great. 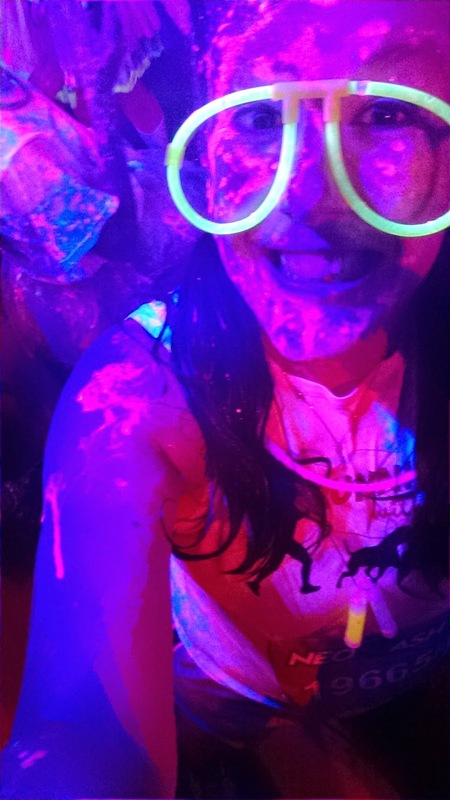 I had a similar experience at the Electric Run. I had fun because I was with my friends, but the race itself was a little lackluster. Only difference is I spent almost $75 on that race!! I said next time, I'd just run to a rave and then dance there :) Happy belated! $75!?! yikes! I think the price did get more expensive at it got closer, but we bought the tickets months ago, when they first went on sale. Thanks! Lynda! The color runs are fun too! I was all set to run this and then the Kansas City race got cancelled. I was bummed. I'm glad you had fun though! 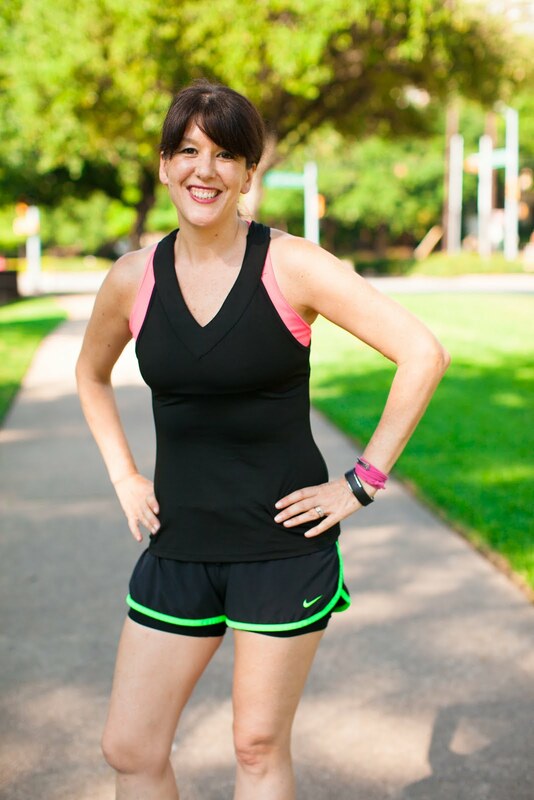 I ran the Neon Dash back in June, and was REALLY unhappy with the way it was organized. It was just poorly run (hot water out of a hose in dixie cups on the course for one), and not what I expected. I did have fun with my friends running it though.